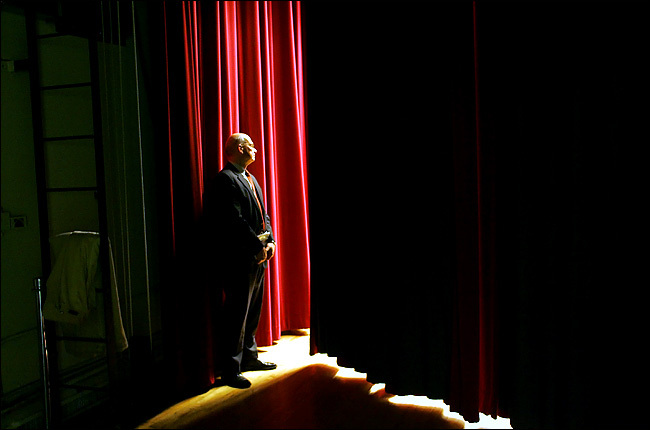 The New York Times did an elegant story regarding the vision of Redeemer Church and its pastor, Tim Keller. I am so thankful for the opportunity to be part of learning and serving at this church. Dr. Keller has been a spiritual father from the pulpit to many men and womenin the city. If you desire, please dive into their Vision Campaign for the city where you can learn more and download some priceless materials. Also take a look at their Urban Church Planting Center. Pray for the church as it stretches itself in new territories that the leadership would surrender to our Lord’s wonderful direction. This week my computer crashed numerous times (this is my second time I am writing this!) I lost all my last entry…But it is all good. My Dell Desktop was acting up but I was spending most of time configuring the computer until I discover that it was my Firewall settings. Needless to say, I wasn’t able to accomplish a whole lot. I was able to finish up the content for the Chinese Christian Herald Crusades English Website, I sent it over to my wonderful web designer and awaiting his masterful creation. As I was writing and editing the site, I was amazed by all that CCHC does and continues to do for the sake of the gospel. The are so committed and it is part of their ethic that has been to reach everyone for the gospel. I pray that when the website is posted, people will be inspired to reach the Chinese for Christ. I am still behind in getting my prayer support letter up, part of me is afraid of the prospect of failing again to get the support in time for an August launch of the Laity Project. Financially I am still struggling with part-time work. I may start looking for a full-time position if things don’t go through or balance two part-time positions. I had a good talk today with Asian American leader and blog-master, DJ Chuang, we were able to share our mutual passion for Asian American ministry. He recommended that I read “Building a Healthy Asian American Church” by Peter Cha. You can get a supplement chapter here. He is currently editing a book on Asian American Youth Ministry, I look forward to see the final copy of this. I look forward to cultivating our friendship and our pursuit of serving Him. I am planning on attending Summer Institute for Asian American Ministry and Theology in June. I am hoping to connect with some of the Asian American leaders and to gain and offer some insight in the future. Pray for funding and for my time to be balanced as I am ministering in the summer. I started preparing my talks for the New York Summer Conference, this year’s theme is PERSEVERING FAITH “…These were all commended for their faith, yet none of them received what had been promised. God had planned something better for us so that only together with us would they be made perfect.” -~Hebrews 11:39-40. I am amazed by the testimony of how God has written this poor pilgrim’s life into something to be used for His glory. Pray for diligent preparation and for a focus on the biblical truth and to express it in a way that is credible and worthy of investigation. I am planning on a personal time for meditation and retreat sometime in March to prepare for intimacy and love. I am going to Stella Maris Retreat and Renewal Center for two days to just spend time with God and His creation. Pray that my heart will be stilled…and that He will use it to be more discerning of His voice and direction. Jamie and I were able to host a prayer meeting/pot luck dinner with the Graduate Students Intervarsity Fellowship at Syracuse. I am beginning to feel that Syracuse is my new home and new place for engagement and ministry. I met with Bruce Jackson who pastors Allegheny Center Alliance Church and is currently a consultant for our home church, Syracuse Alliance Church. I am hoping to be able to serve at the church at some official capacity. My heart is developing leadership and offering both biblical and real-life application with the church. Jamie and I had dinnere with a wonderful couple who invited us to serve as smallgroup leaders this upcoming season. Please pray that that God will cultivate our marriage through this first step of serving the church together. I have been asked to speak at Navigator’s Christian Fellowship at Cornell and also Living Stones Chinese Christian Church Fellowship at Buffalo for an outreach event. Pray for wisdom and balance as I am invited for different events and fellowship. Please continue to pray for Teen Eastern Chinese Bible Conference as they are in the midst of final preparations for the retreat on Memorial Day Weekend. They are still lacking in some of the planning and I hope that I will be able to assist them in securing some workshop leaders and also to give encouragement to them as they are moving ahead this year. I am coming back to New York in March 18th to see Jinny Kim‘s CD Launch and also to spend some time with family as they are planning to go to Indonesia to visit my uncle who suffered a stroke. Pray for traveling mercies and also for them to experience Christ (because most of my father’s siblings have become ministers or believers!!!). -For my sister, she had a difficult and arduous meeting this past Wednesday with the lawyers. My niece has moved in with the father and there is seems to be an ugly divorce battle on the horizon. She has not taken the steps to pursue her faith and I am afraid has lost some of her momentum. -For my Chinese studies, it has been time-consuming and getting more difficult, I am taking the midterm this week and I am anxious that I will be able to keep up. But the good news is that there are several students who are part of Campus Crusades and they are going to New Orleans for Katrina relief. -pray for my workplace, I am building some friendships there and I want to be an effective witness and friend to them. I feel that there is a real desire for people to explore faith issues and I pray that it will afford me opportunities for engagement. -pray for my family and their salvation. -pray for the emerging church and that they would build a relevant and beautiful portrayal of the “eternal gospel” to all contexts and cultures. Thank you again for being part of my minisry through prayer and encouragement. This is a picture of us in snowshoes about two weeks ago! It was fun running around while Jamie was shaking the trees to topple snow on me. I hope this finds you well. It is already the ending of February and I trust that you are keeping warm during this mild East Coast winter. Happy Belated Valentine’s day, I was reminded of my first love and the gift of this marriage as a glimpse of intimate community. Hope you enjoyed yours, Jamie and I kept it simple and had a quiet home-cooked meal that Jamie prepared (so good!) and we gave out little treats to our neighbors. This past Friday, Central New York was battered with some pretty severe storms, with wind gusting up to 75 mph! There were downed trees that lead to downed power lines. It was the largest power outage in National Grid’s history, with over 39,000 customers without power. To add to that, there was a winter chill storm that came through. So there were emergency “warm houses” set up for those without power. To read more you can go here. Well, because of the high winds, The Sacadanga Bible Conference Center would not have power for three days, so the Long Island Abundant Life Church Winter Retreat was cancelled. I was disappointed that I didn’t get a chance to serve them as their youth speaker but I pray that God continues to bless their church and the youth during this time. They are considering rescheduling the retreat for April. Since the Winter Conference was cancelled, Jamie and I were able to attend an annual International Students Culture night. There were many opportunities for us to engage with students and I saw my Chinese professor there. We had a wonderful time dancing and mingling and hopefully be able to build some relationships here. Pastoral and Laity Ministries has launched their new website! It looks great! The website will include a blurb about the Laity Project soon. Due to the change of launch of the Laity Project, I got in touch with Timothy Tseng of the Asian American Center to update him and he gave me some words of encouragement as well as Greg Jao, Regional Director for Intervarsity Christian Fellowship in New York and New Jersey. If the funding comes through, it would be ideal that the Laity Project could coincide with this year’s Eastern Chinese Bible Conference, this year where Paul Tokunaga will be speaking. I have been discussing the possibility of having a special session with Mr. Tokunaga with Metro Asian American lay leaders. I hope to explore this possibility. I hope to finish up some of the initial look for the ministry website and get prayer letters out this week! If you would like to be on the mailing list please contact me at peter@palmny.org. I have been asked if I could speak at Cornell Navigators fellowship meeting. I am praying to see if I could speak at Brooklyn Grace Chinese Alliance Church Summer Conference for the youth (it is one week before the New York Summer Conference and I don’t want to overexert myself). I am preparing for the outreach youth coffeehouse for Chinese Evangel Mission Church-Queens. I have been recognizing a deeper need for me to go on a spiritual retreat of some sort. The local pastor recommended some retreat sites and I am exploring a trip to get away to write and to listen to God. I am desperate to start writing again and to have some time with Him so that my relationships with others are rooted on the intimacy I have with the Lord. His grace is sufficient indeed…by faith, I can only wait and trust. Thankful for this measure of faith that I can be at peace. I want to praise God for such a patient and loving wife who is so supportive and loving. I am meeting with two church leaders at church this Thursday to explore ministry and also some mentoring possibilities. I am excited to see what God has in store for this. I am eager to serve and to engage with a church that is growing and yearning to pursue the magnitude of God. Pray that God continues to center Jamie and I on the hope we have in Christ. To know that He is so much more than we can imagine as we plan out future together. Pray for wisdom, grace, faith and passion on our hearts as we seek to engage where we are here. Welcome everyone to another edition of my “Journey of a Servant” reflections and prayer update. It has been a busy week but also some fun as Jamie and I were able to find some leisure together as well. Today is the mark of our sixth month anniversary of our wedding…how time flies. 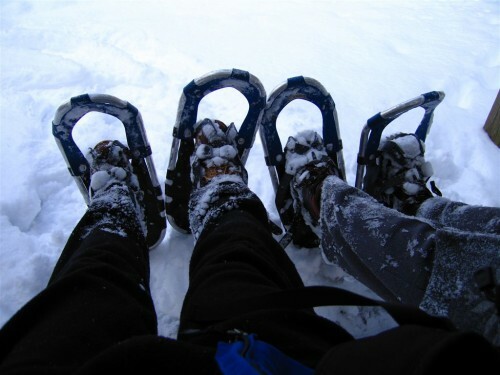 We went out to Baltimore Woods in Marcellus New York (about 25 miles from our home) to go snowshoeing. Here are some pics if you want to see…it was fun to get out and trip over my feet on snowshoes while Jamie tried to ambush me by shaking trees so snow would fall on me. Update on Bono: Thank you for all your responses on the Bono prayer breakfast sermon, I pray that it continues to point a Christian intersections of faith and public engagement. He is one of 163 individual nominees and 36 group nominations for the Nobel Peace Prize…How does one get nominated? Here is an interesting response from Eugene Peterson, the translator of the Message translation of the bible to Bono. This was something that I touched upon my talk at the Binghamton Intervarsity Christian Fellowship Large Group seekers meeting. I presented the “truths” that seem to be out there that we have come a long way in our “ethical” progression and my case was that we have not…and in some ways, Christianity has been marred by our “self preservation” tactics versus innovators and transformers of cultures. I pray that it was a time of some challenging, I was able to meet Carrie Moorhead, the IV staff there…the large group was mostly Asian American college students who a number of them were from my time in serving at Teen Eastern Chinese Bible Conference…and a student from my Herald Youth Center days. Overall, it was a good evening and we went to Pizzeria Uno’s afterwards with 24+ students…ouchie! They rearranged half the restaurant for us! It was nice to sit together with the smallgroup and outreach coordinator…to talk about campus involvement. I hope to return again. Last week, we sent off John and Rachel Clancey to their mission field in India, they arrived safely and ready to encounter God as they serve there. If you wish to learn more or see their updates please go to their website. Heading out to Long Island Abundant Life Church Winter retreat this weekend with Jamie. I am excited as I will be teaching from Jesus’ parables about “Going Deeper.” Jamie and I will be spending another weekend and hopefully will be able to balance work and leisure during our time there. Then, I have a little break until April where I will speak for a youth outreach at Chinese Evangel Mission Church Queens. Thanks for all your prayers and emails…keep it coming! I almost done with the CCHC website content. I am so thankful for the patience of my web-designer as I am restructuring the site. Pray for a focused and blessing for the ministry. I am sending my prayer support out early next week. Pray that it will express the vision for “Equipping the Saints” and for partners to come along with me. I am still less than 10% in reaching my goal of funding. Special friends have been going through some transitions including job changes, engagements, weddings and health issues. Please pray for an outreach event that a college and career ministry at Syracuse Alliance Church, a church Jamie and I now attend. We will not be there since we will be at my speaking engagement at LIALC but please pray for the leadership and coordinators to make this an amazing evening for people to cross the thresholds of a church door. Still working on a website for ministry updates but I am thinking this is enough for now…perhaps will make some additions. I am thinking of some names…pray for wisdom. That is all for now…I love you guys…pray! pray! pray! Happy February everyone! I hope this finds you well and enjoying the momentum of the new year~This has been one of the mildest winters here in Syracuse ever. I am learning Chinese and trying to read the Bible in Chinese!!! Woo Hoo! To my great joy and pleasure…I will be speaking at Binghamton’s Intervarsity Christian Fellowship Large Group meeting this coming Friday. For President’s Day I am preparing my sermons/talks for “Doing Deeper” Winter Conference for Long Island Abundant Life Church, I am going to focus on the parables of Christ. After some dialogues with the Teen Eastern Chinese Bible Conference Chair, I have asked that I serve as a coordinator instead of being a speaker. I think that this will help with the development of the next group of committee leaders. This past weekend, we were able to pray and send off John and Rachel Clancey and their beautiful newborn baby Aria. They are missionaries heading off to Hyderabad, India. They expressed wonderful story of their faith and their desire to proclaim the gospel to Asia. They gave me encouragement for the funding and don’t be hindered for my heart to serve God in minsitry. It was a great time with community and friends. Jamie and I were able to go to a Chinese New Year celebration hosted by ESF Graduate Students. Despite us being there late and watching a 3 hour CCTV Chinese New Year celebration, we had good food and some confusion at trying to figure out what each program in the show was about…after about 40 minutes, we gave up and left…but it was another way for us to engage the community. This weekend, I found out there is a Bible Study for international students at Syracuse University. It is being lead by a professor at SU…Jamie and I hope to attend next Saturday. I am enjoying Chinese class and getting to know a few of the students there. I hope to host a hang out with them sometime soon. I have contacted several ministry partners who were interested in working with me on the PaLM Asian American Laity Project. But due to the funding situation, I will have to wait till the Fall. I am still in the midst of developing a website, that is a glorified version of this blog…with updates on funding. I am in a place of wrestling through provision and how I should use my time. I am seeking to go on a guided retreat in March. I hope to spend some time alone with God and also do some deep reflection for myself. Financially, I can’t afford it…Spiritually I can’t afford NOT to go…I know that God sees and He is reminding me of believing…that He will provide. I had to cut back my hours at my part-time job because of my Chinese Studies (they won’t let me take a half-day there). So I am going to have to seek other options. Jamie and I are still in our honeymoon stage of adoring one another, I am amazed by how we seek His heart in our moments of weakness and insecurities. I love the way we seek to not settle for anything less than what God wants for the two of us. We are finding this out…as we find ourselves to serve as one…may we reflect the Glory of God. Praises to God for allowing Jamie and I to spend a dinner with my co-workers at my part-time position.